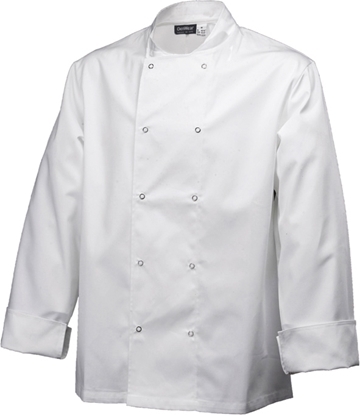 Simple, durable & comfortable chef jacket which offers great value, and performs in any busy kitchen. Double breasted with hemmed cuffs that provide a clean and sophisticated appearance for all your front of house needs. Made from polycotton for ease of care & pressing. 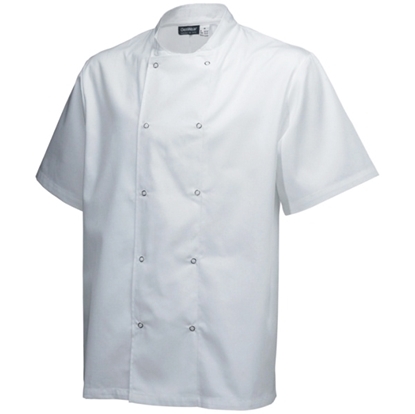 A must have for all professional chefs, double breasted and hemmed cuffs make this suitable for all types of kitchen and catering uses.